February 2, 2012 June 5, 2012 Categories lifeb.b. cream, Sephora, Smashbox2 Comments on bonkers for b.b. Have you heard of B.B. cream? I just heard about it two weeks ago, and since then, I’ve been seeing it everywhere! All the rage in Asia, B.B. cream is everything your skin needs packaged in one bottle. It’s a moisturizer, SPF, concealer, primer and foundation all in one! Smashbox just rolled out their B.B. cream in January, and since I already use their foundation, I’m dying to try this! Here’s a roundup of other brands to consider. Have you used a B.B. cream before? If you have, or if you start, give me your feedback! I’ve been using it for years and live it! I just did reviews of 6 popular brands. Visit http://www.prettygossip.com and search BB cream! I have used a few, and my favorite so far is the boscia bb cream. It is perfect for days when I’m not wanting to put on my entire face! 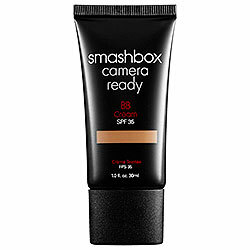 I would love to hear if you try the Smashbox.